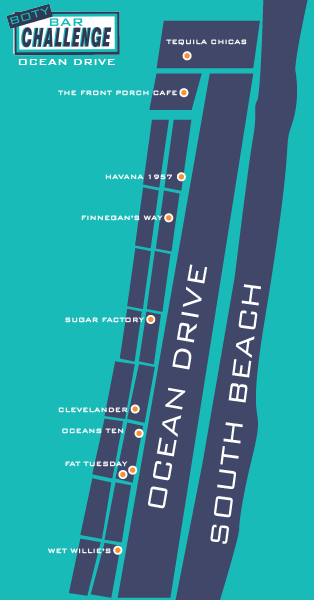 Did you check in on Facebook to the Ocean Drive Bar Challenge? Create a work of art using whatever random items you can find in the bar. Snap a pic and post on Facebook with the hashtag #barchallenge. BONUS: Mention BOTY Bar Challenge for a $5 featured mixed drink or $3 featured shot!